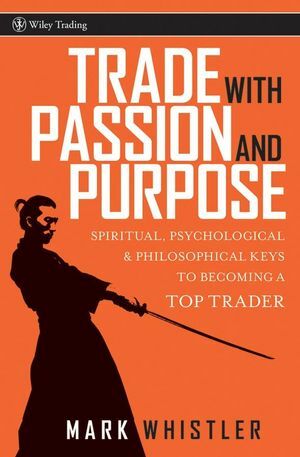 Successful trader Mark Whistler draws from the fields of psychology, spirituality, and philosophy to emphasize how self-honesty, self-esteem, emotional balance, and confidence form the foundation of successful trading. 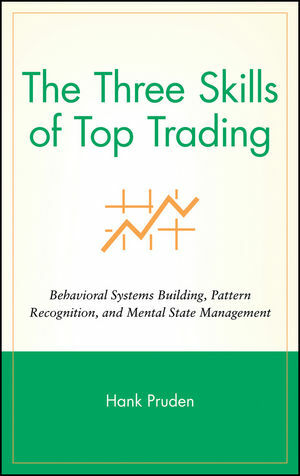 He demonstrates how adherence to a small number of core principles vastly improves chances of success, and shares interviews from top traders to exemplify his point that even the most successful traders have had to overcome setbacks. Mark Whistler is a trader and financial writer. As a professional options trader, he specializes in statistical arbitrage, a technique for capitalizing on the price differences between similar financial instruments. ?Whistler is cofounder of the Web site PairsTrader.com, and a columnist for Traderdaily.com, Investopedia.com, the Smart Options Report, and the Investment U newsletter. 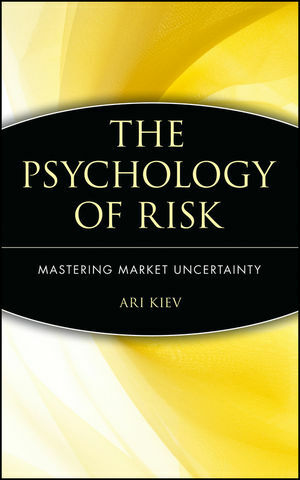 He is also the author of Trading Pairs, which is published by Wiley. PART I All of the Answers Are Already Within. CHAPTER 1 Finding Your Purpose-Center. Clarifying Your Purpose-Center through the Mission Statement. Purpose-Center as Self-Awareness in Style. CHAPTER 2 The Time Is Now. CHAPTER 3 Self-Honesty and Self-Esteem. CHAPTER 4 The Balance of Humbleness. Mike Palumbo—Words of Wisdom from a Supertrader. Balance of Self: An Interview with Kevin Cuddie. CHAPTER 5 Be Courageous, Be Forgiving. The Vacuum Law of Prosperity. Interview with Dr. Michael A. L. Eckelkamp. The Need for Courage: Vic Frierson. CHAPTER 6 An Investigation of Fear. Deciphering the Difference between Good and Bad Fear. Event Timing and the Conditioned Reflex. Fear Is the Only Paradigm of the Market. CHAPTER 7 Overcoming Adversity and Anxiety. Turning the Tide on Death—Bob Williams. CHAPTER 8 Cause and Effect. The Foundation of Cause and Effect. Cause and Effect in Trading Decisions. Adding on to Joe’s Words. Experience as the Most Important Cause Variable. CHAPTER 9 Emotional Intelligence: The Intuition Wild Card. Emotional Intelligence with Emotional Identification and Acceptance. Incredible Intuition through the Eyes of a Publisher. Gratitude as a Psychological Study. CHAPTER 12 Confronting and Defeating Stress. A Little Stress Is Good. Matt McCall on Stress and Investing. CHAPTER 13 A Medical Evaluation of Stress. The Facts behind Stress, from Dr. Royce Peterman, MD. CHAPTER 14 The Necessity of Relaxation. Breathing to Deal with Three Stressful Moments. CHAPTER 15 Affirmation and Visualization. CHAPTER 16 Avoiding Self-Destructive Behavior. Understanding Why We Blow Up Leads to Recognition. Thwarting Self-Destruction and Cleaning Up the Mess. PART III Developing Your Game Plan. CHAPTER 17 Creating a Trading Plan. Trading Plan Integrity through Philosphy. CHAPTER 19 Change Is Constant. Change Is the Only Constant We Can Count On. When Life Blows Up, Make a Change.